Comparing only the players involved in a trade is simple and fun (try ours) but it ignores crucial information about the rest of your roster that can completely change whether or not a trade is right for your team. 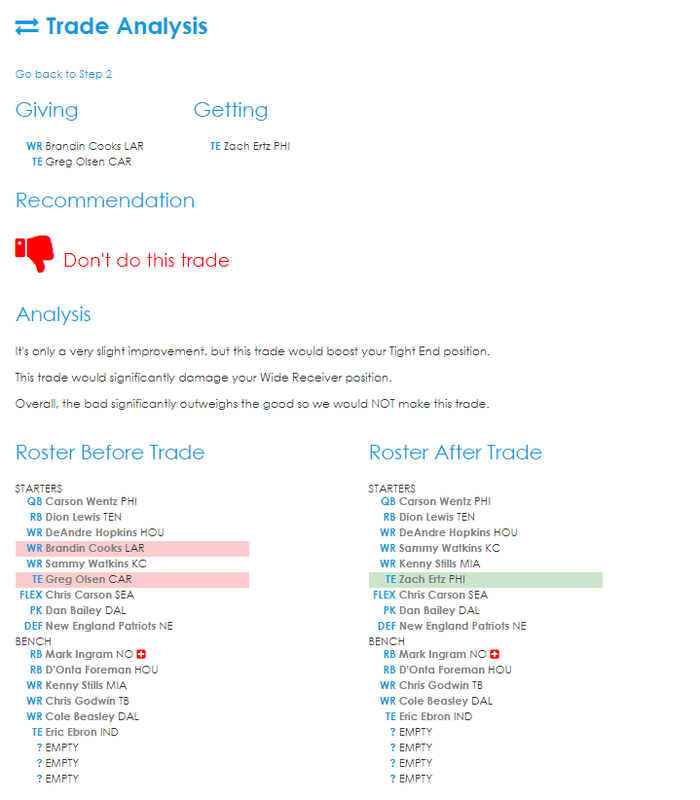 RotoTrade's Entire Roster Trade Analyzer also takes into consideration your league's scoring (PPR vs. NON-PPR), player injuries, Flex positions and more. 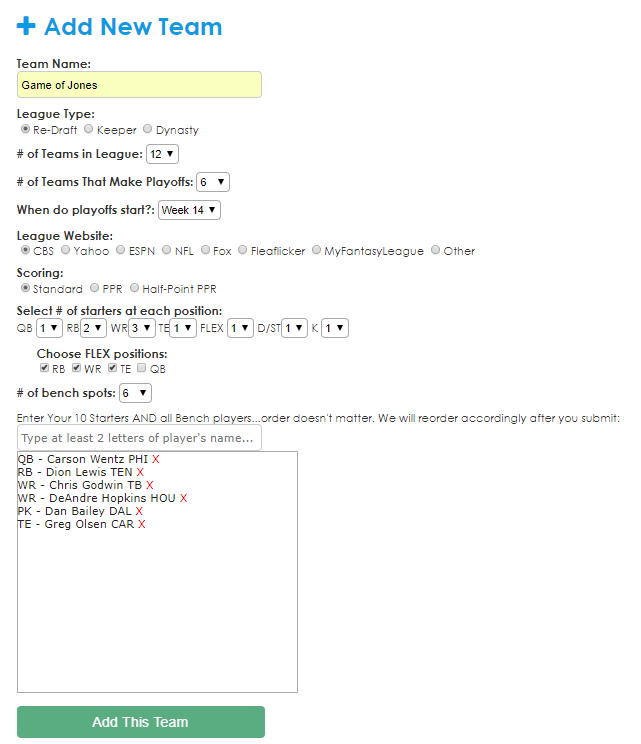 And if you're in a Dynasty League, we take into account whether your strategy is "win now" or "rebuilding", and also allow for Draft Picks to be included in the trade analysis! 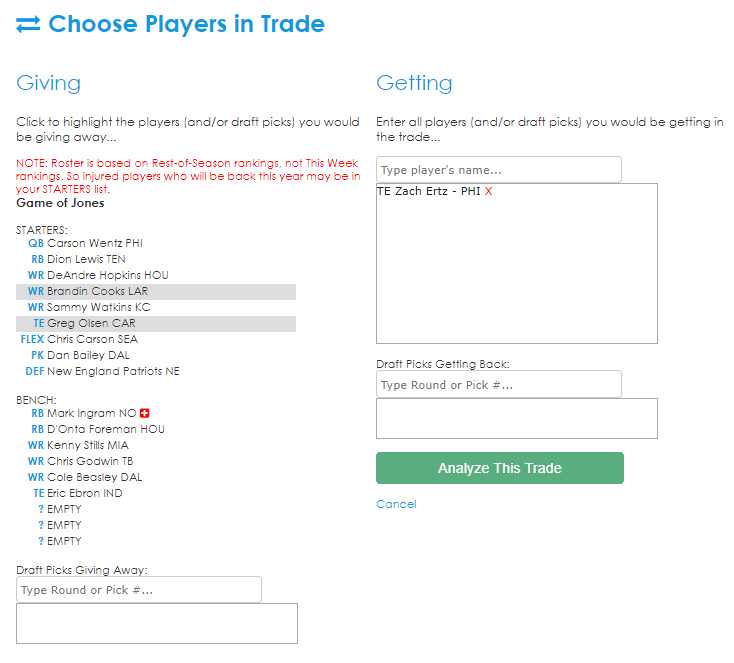 You need an account to use the Entire Roster Trade Analyzer, but creating an account is FREE and takes less than a minute (unless you type really slow).